Beware that this is a messy topic, but cat litter is a concern for most cat caretakers. Here are some videos about the different types of litter and how to prevent litter dust from invading your home and making you and your cat cough. There’s even one about making your cat its own litter box and one about a dust-free litter made, believe it or not, with coconuts.. Check them out, but remember that Sneaky doesn’t endorse any of these suggestions. He just shares them for you to review. What is a Cat Lady Box? Hi, folks. 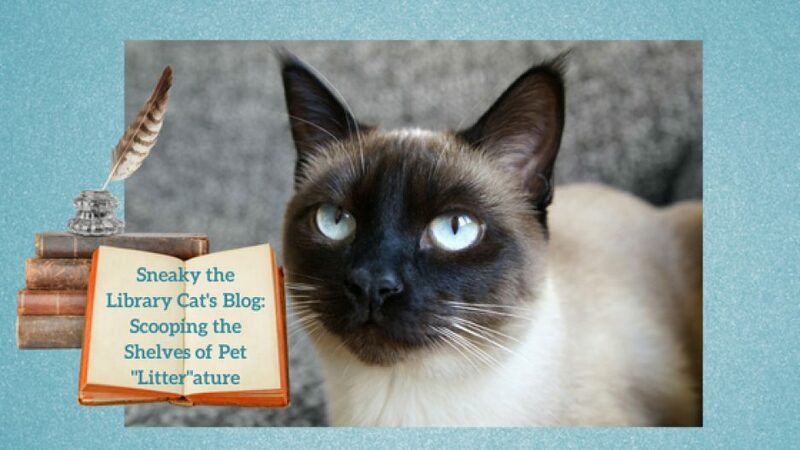 I have to admit I was hesitant to write this blog, but I know a lot of cat ladies read it including my author, Debbie. She recently subscribed to something called a “Cat Lady Box.” When it arrived, I was very jealous because it contained two catnip toys for Debbie’s cats and nothing for me, her favorite cat character. I did a little research into these Cat Lady Boxes and this is what I found. There’s a company that sends out monthly boxes of surprise items such as jewelry, clothing, household items, etc. all with a cat theme. A subscriber can choose either a box with only items for people or one that includes gifts for one’s cats, as well. Of claws, Debbie chose the latter. What a surprise! Before she even opened the package, her cat Oliver was sniffing it. Sure enough, when Debbie opened her box, she found a chocolate dipped strawberry cat toy and a furry dice with play and cuddle options on each side. Both toys contained catnip. Needless to say, Oliver and Stripey enjoyed them both. I watched on in silent envy. When it was Debbie’s turn to check out what she received, I saw her delight at the beautiful kitty necklace, cat-shaped backp charging device, and cute bear rug that can also be used as a sleeping mat for her cats. There was also a pretty card explaining what the box contained and some information on a featured Cat Lady artist, Allison Edge. The box’s theme, of course, was Valentine’s Day or Meowlentine’s Day, as we cats call it. Although I regret that the Cat Lady box did not include anything for me-ow, I’m happy Debbie enjoyed it because a happy writer can only write better scenes that include her cat character. One last thing I’d like to mention for those who might be interested in a Cat Lady Box subscription, you are not obligated to purchase a box a month and can skip months without canceling. You can also gift boxes to a cat lady friend.